Matthew A. Kirsh was named one of the Top 100 Lawyers in the State of Illinois for 2019 by Super Lawyers. * This recognition demonstrates the respect given to him by his fellow lawyers. While Matt is an experienced trial lawyer, a lawyer must possess many other qualities in order to be a successful family law attorney. A quality divorce lawyer must also be able to understand his clients’ problems and to understand the emotional and human nature of the issues faced by people going through a divorce. At the same time, however, a good lawyer navigates the most direct path to a fair resolution of his client’s case. Matt possesses a tremendous ability to be simultaneously understanding and effective. Most divorce cases involve both financial and child related issues. During the course of his career, Matt has successfully handled many cases with complex financial issues involving closely held businesses, business valuations, stock options, and income tax consequences. Matt has earned the respect of the judiciary and is frequently appointed to represent children in contested custody cases. Matt has been practicing as an attorney since 1989 and specializing in family law since 1992. His past experience as a family law attorney includes five plus years of working with his father at Kirsh & Berman, Ltd, three years of solo practice, eleven years as a partner at Colky & Kirsh, Ltd. and since 2102, the sole partner at Kirsh & Associates, Ltd.
Matt received both his undergraduate (1986) and law (1989) degrees from the University of Illinois at Urbana-Champaign. 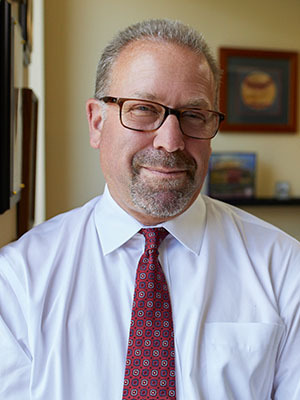 He is a former Chair of the Family Law Section of the Illinois State Bar Association (2015-2016) and served as an Editor of the ISBA Family Law Newsletter from 2006 to 2013 and from 2016 to the present. He is also a Fellow of the American Academy of Matrimonial Lawyers and in the past has served as an investigator for the Chicago Bar Association’s Judicial Evaluation Committee and the former Chair of the Family Law Committee of the Chicago Bar Association Young Lawyers Section. Matt was born in Chicago in 1964 and has been married since 1989. He and his wife are the parents of two boys and two girls. As a husband and father of four, he has excellent insight into the problems and challenges faced by today’s families. Matt is recognized by his peers as both a Leading Lawyer and a Super Lawyer.